Great Westsyde home with 3 bedrooms on the main floor and 2 large bedrooms down. Located on a nice, quiet street close to schools, shopping and transportation. 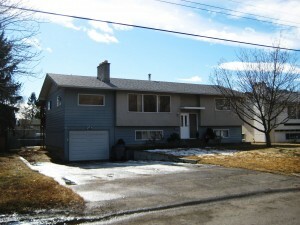 Numerous updates include furnace (2008), bathrooms, flooring, paint, hot water tank (2011), A/C and roof. This home sits on a large fully fenced lot with drive thru access to the back yard. There is huge potential for a detached shop or in ground pool. RV parking. There is a separate entrance to the basement from the back. Huge deck that is partially covered. French doors from the family room to the deck. Just move right in to this great home.